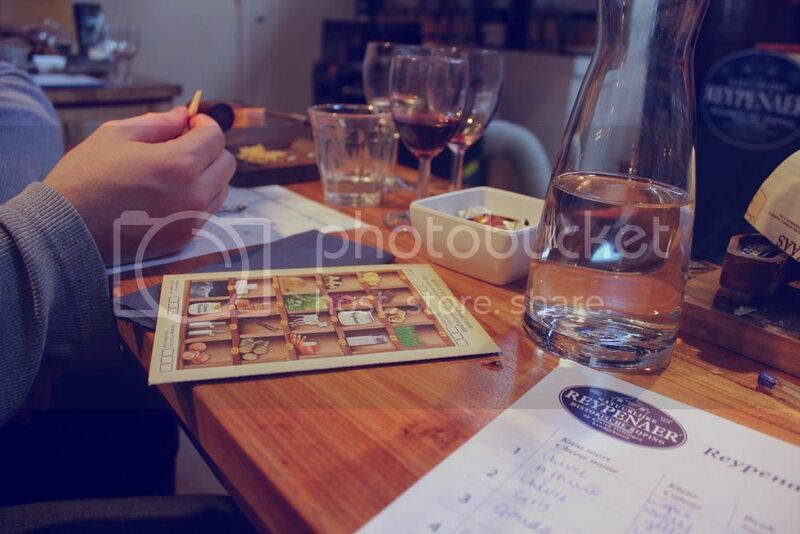 As I mentioned in my last blog post about our Amsterdam trip, we went to Rypenaer Cheese Tasting Room! This was something I'd been looking forward to, but wasn't quite sure what to expect. We were almost the last people to arrive as we'd been spending too much time drinking our pint at the pub across the road. If you have the chance, go there. It's really nice and we managed to make friends with a very nice black cat! 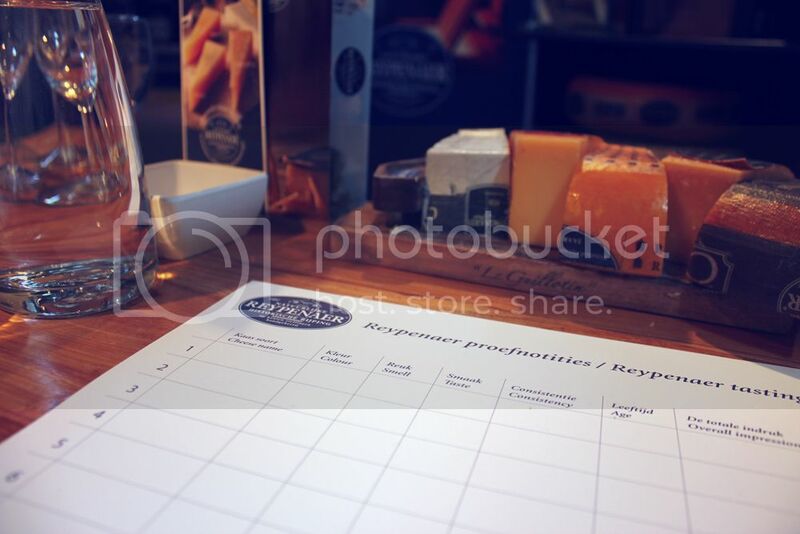 We were all given a form with columns for name, colour, smell, taste, consistency, age and overall impression of each cheese. My boyfriend wasn't too keen on this, but I loved the feeling of being a geeky school student again! We were given white wine, red wine and port to go alongside the cheese. We marked each cheese between 7-10, but to be honest, they were all absolutely delicious. They're all different in so many ways, and as a cheese lover, it's hard to pick a favourite out of the 6 we tasted. I really enjoyed the experience and if you ever go to Amsterdam, I'd highly recommend a visit. I'd definitely go back there! 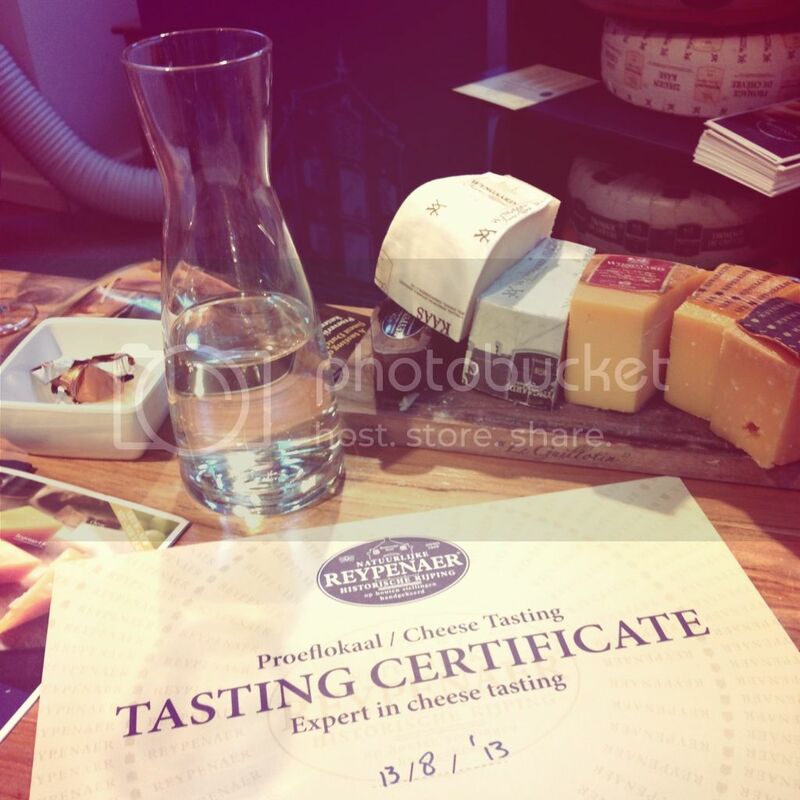 It's well worth it when you receive your Cheese Tasting Expert certificate at the end. 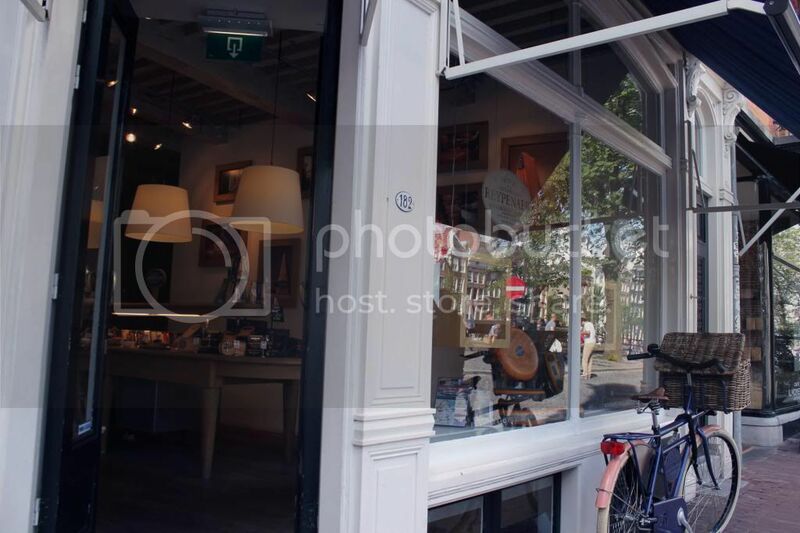 You also receive a 15% discount at the shop - we ended up buying the 'guillotin' cheese cutter board. This will come in very handy during our much loved cheese and wine evenings. We did actually learn a lot from the experience, and discovered what type of wine to drink with which cheese.... Yum! Have you ever been to Rypenaer?